We're excited to announce our newest city to launch with our Plus Service: Mason City, IA. 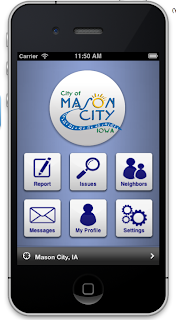 Mason City is the first City in Iowa to launch with our software for governments. 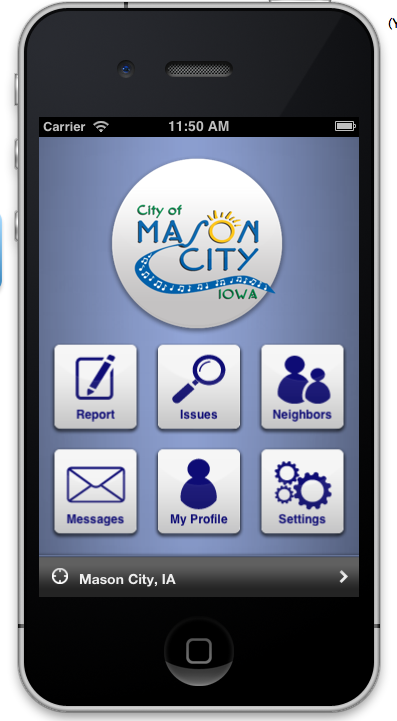 The 30,000 residents of Mason City will now be able to report non-emergency issues to City Hall using the camera and gps technology in their smart phones. City Administrator Brent Trout said, “We hope the new program will increase efficiency in responding to service requests while improving the city’s infrastructure and quality of life. Otto said the new system allows residents not only to report community issues, but also view, comment on and vote to fix problems submitted by their neighbors. “Citizens can even create their own ‘watch areas’ to receive notifications about all issues reported,” she said."